The Nepal Documentary. Video by Robin Wallace. 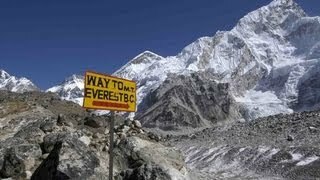 Documentary i made a few years ago covering the entire trek from Lukla to Everest Base camp, staying in Tea Houses. Yogi Kayastha - Bhaktapur, Nepal Though I have not seen the documentary but reading all these comments, mostly from Americans, I am longing to see the documentary. A cultural documentary exploring the social imbalance throughout Nepal and uncovering the truth behind the unfortunate situation of many Nepalese children. The Nepal Documentary. Email This BlogThis! Share to Twitter Share to Facebook. ... Annapurna Base Camp Nepal Dec 2014. Nepal lost footage, outtakes and silly stuff!